Used cars of the week: sub-15k convertibles | What Car? Autumn might seem like a strange time to be thinking about convertibles, but as the weather worsens and the days get shorter drop-top prices tend to fall. Audi's TT Roadster is a What Car? favourite. It's a stylish convertible that offers a premium image and fantastic build quality, while being great to drive. This 2010 car is our pick of the range. The 2.0-litre petrol engine gets the TT Roadster to 62mph in 6.7 seconds and averages 36.2mpg. This example has covered nearly 38,000 miles and costs £13,495. The Mazda MX-5 is the world's best-selling two-seater sports car – and with good reason. It's great fun to drive and offers fantastic value for money. This 2011 Roadster Coupe has a folding metal roof and has done just 2000 miles. It can be yours for £14,995. 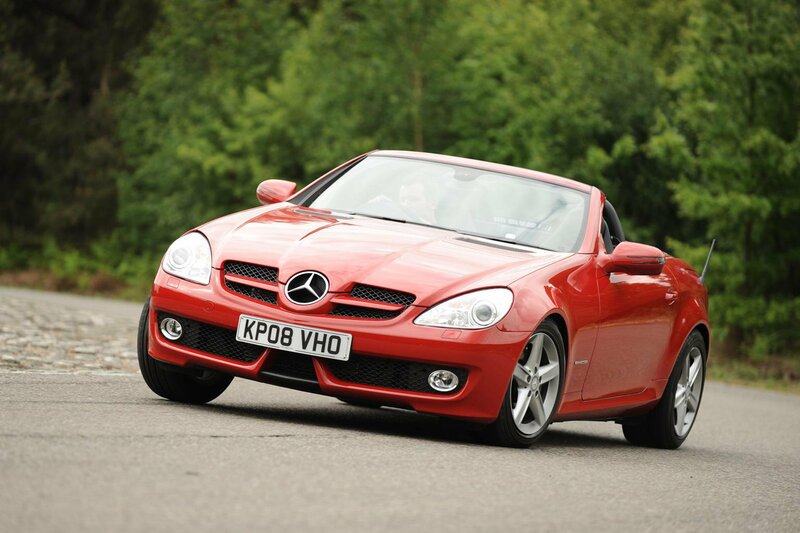 The SLK is the most searched-for convertible in the used review section of whatcar.com. This SLK 200 is on a 60-plate and has done 33,000 miles, and is being advertised for just £13,995. The drop-top Mini offers driving thrills in a desirable and stylish package. This 2011 car has done 14,000 miles and is priced at £14,295. It features the popular Chili pack that comes with climate control, Bluetooth, part-leather seats and alloy wheels. Four adults can travel in reasonable comfort in the Golf Cabriolet, making it much more practical than the other convertibles on this list. This 1.4-litre petrol version comes in just under budget at £14,995. It's a 2012 example, with 16,000 miles on the clock.